Offering the world's largest library of 4K content, UltraFlix is a streaming network that enables subscribers to choose from over 600 hours of pristine 4K Ultra HD Video on Demand content in a broad range of venues categories plus 100 hours of free content. 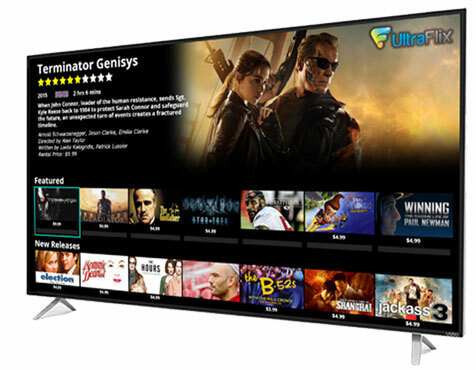 UltraFlix has also become the preferred 4K STB and Smart TV App for leading 4K Smart TV manufacturers including Hi-Sense, Samsung, Sony, Vizio and others that are in the process of completing their testing and integration. 4K UltraHD, also known as Ultra High Definition, Ultra HD or 4K, is a video format conceptualized by the Japanese public broadcasting network, NHK. 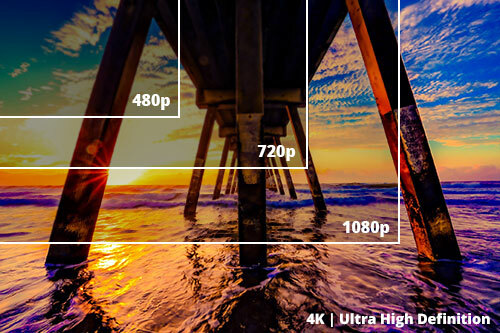 On October 17, 2012, The Consumer Electronics Association (CEA) announced that the official term "Ultra HD" would be used for any display with a 16 x 9 ratio with at least 1 digital input cable carrying a minimum resolution of 3,840 x 2,160 square pixels. The UltraFlix™ app is currently available on the devices below.